SUB2r, a self-funded hardware start-up, has developed a digital imaging platform that will be as disruptive to video as the programmable PC was to computing, 3D printers to prototyping and Arduino was to programmable modules. Their first release features a powerful 4K/1080p resolution camera board that is the first with easily-upgraded hardware and software and provides professional quality live streaming video. The tech world is buzzing about our product. Our camera streams uncompressed, high resolution, locked frame rates, interlaced audio with very low latency. 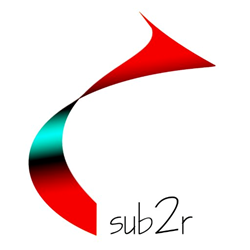 SUB2r is excited to announce the official product launch of their programmable camera, where there functionality can be upgraded by utilizing an app. It also separates itself from other types of cameras by allowing hardware such as the camera board to upgradable like a gaming PC. The lenses and even the onboard microphones are interchangeable. A network SFP+ socket allows for even greater customization supporting outputs for HDMI, SDI, GigE, Optical and more. The initial launch of the SUB2r cam er a supports a native 4k camera chip which can stream 4K @30ufps and 1080p @ 60ufps. It is built around an open architecture mother board where every aspect of the imaging pipeline is accessible, configurable, customizable, upgradable and programmable. With the ability to upgrade hardware and software they have changed the mindset of a camera from an accessory like a mouse to one of an expandable platform. Users can now take advantage of a special pre-sale package, which includes the SUB2r camera, the 4k/1080p camera module, lens, USB A to C Cable, USB C to C Cable, an AC adapter and a V-Mount. Additional features like a headset jack and side rack mount rails are also available to those who choose to add on to their SUB2r camera. The camera also supports network SFP+ modules, external JTAG and GPIO connections. The company began as 2r1y, inventing new technology for high-speed high-density 3D imaging. To develop this they needed a camera that gave access to every step of the imaging process inside of the camera. Unable to find an off the shelf solution, they built a camera from scratch. They soon realized that this camera overcame challenges that faced other people in areas ranging from streaming to astronomy, from machine vision to security, and as unique as ghost hunting. In 2015, they spun the camera technology into its own company, SUB2r.